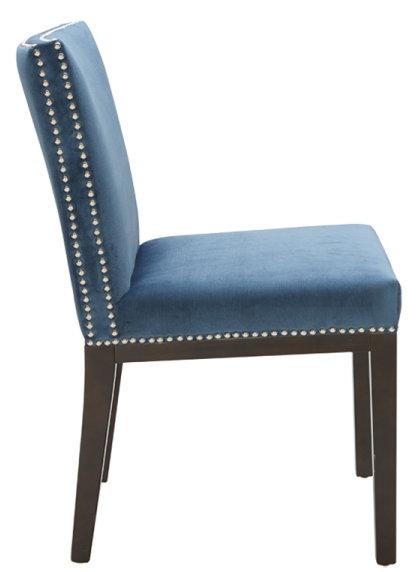 Hollywood style parsons dining chair with a unique double row of silver nail head on the seat. 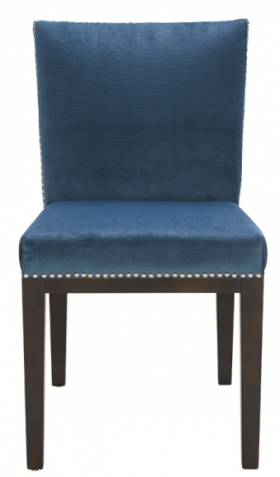 Finished in a Ink Blue Velvet look fabric with espresso frame and legs made of hardwood, kiln-dried solid frame, high-density foam with Pirelli straps. 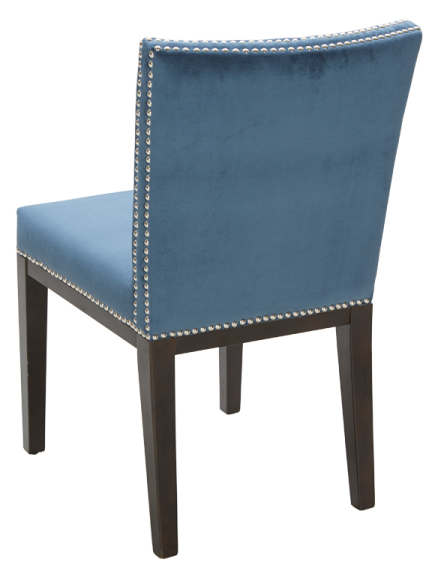 comes fully assembled for commercial and residential use.